Please join GAC artist member Florence Sinclair-M on Friday 29 March at 3.00pm to hear more about the work in her current solo exhibition in the Billiard Room. Florence will discuss the works in the exhibition, sharing the inspirations and process behind the work. Find out more about the various techniques employed, including Calligraphy, Japanese Woodblock and Etching. Florence is first and foremost a painter in oils. 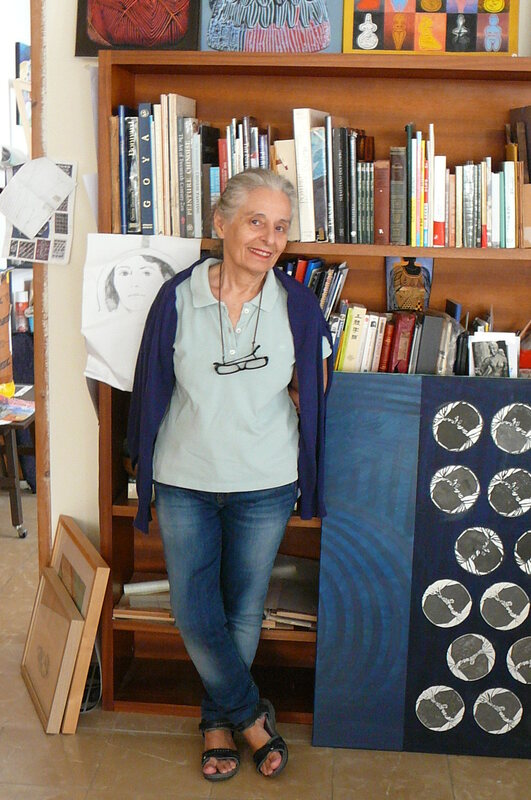 More recently, she has been experimenting with different media including printmaking. 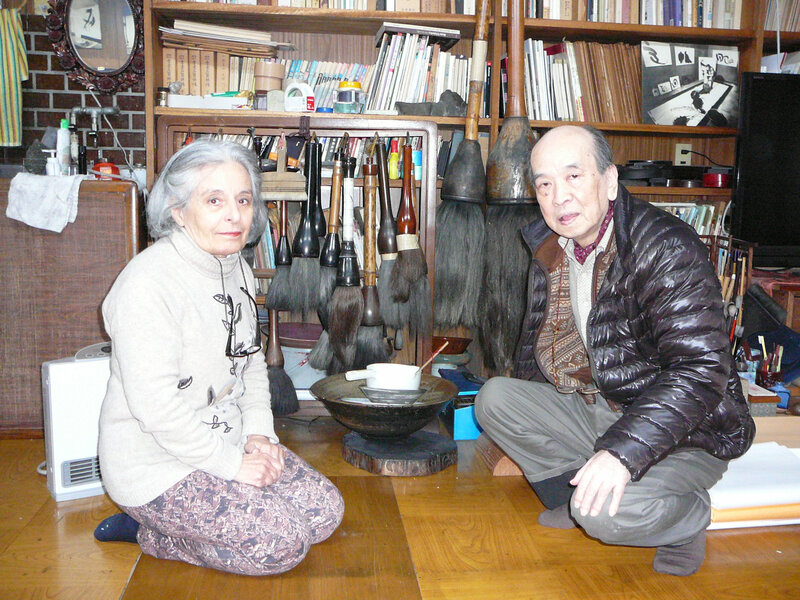 Her solo exhibition at GAC showcases works in oil, woodblock, etching and calligraphy. After training at the National Art Academies in Barcelona and Madrid she went to Central St.Martin's School of Art to study engraving with Andrew Freeth, then to Paris to study colour printmaking and burin with Stanley William Hayter at Atelier 17. 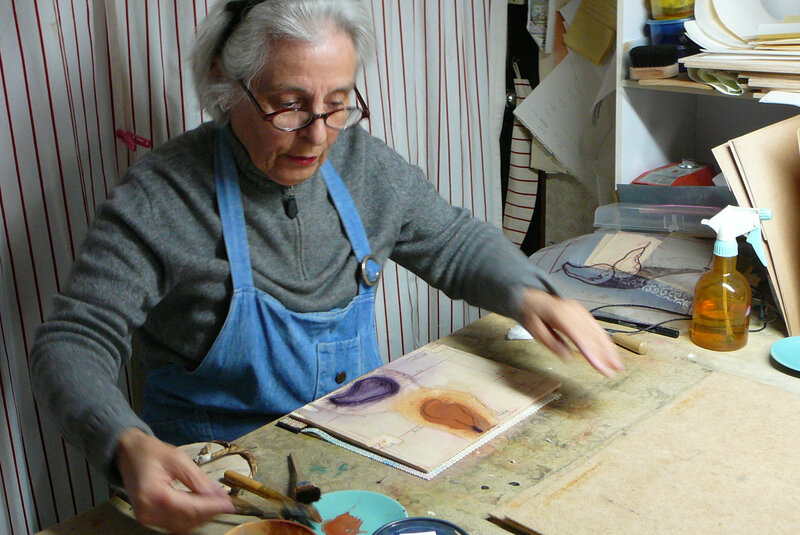 In 2006 Florence was offered a residency in Kyoto by the Kyoto Seika University of Arts to learn the traditional Japanese woodblock technique known as Moku Hanga. She has travelled to Kyoto nearly every year since. Florence has exhibited widely over the years in places such as Japan, Iran, Australia, Spain and France and has been the recipient of a number of awards. In 2018 she was selected for the RSA Open Exhibition in Edinburgh and has been invited to exhibit here at the Glasgow Art Club. Florence Sinclair-M is of Scottish ancestry and settled in Edinburgh in 2016. She now calls Scotland her home.